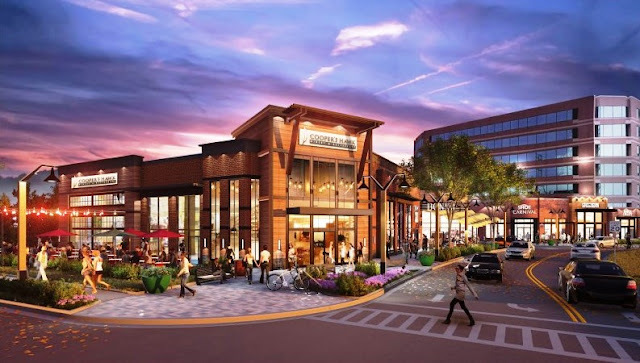 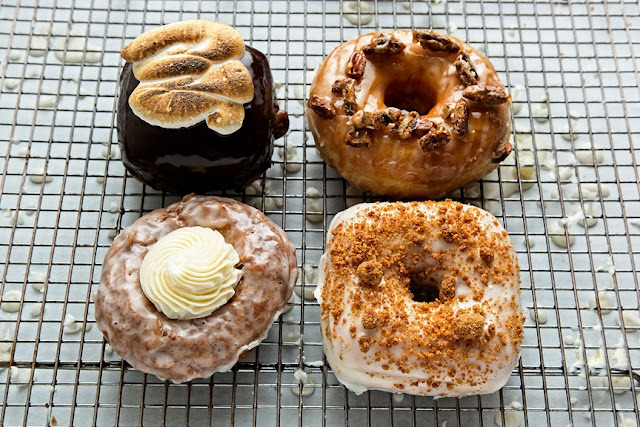 For November, Astro Doughnuts and Fried Chicken has a new line up of flavors which are available in DC and Falls Church, VA starting Friday November 3rd. The four seasonal flavors include: a Carrot Cake doughnut with a cream cheese frosting rosette, a Key Lime Pie doughnut with key lime glaze and graham cracker crunch, Bourbon Butter Pecan doughnuts topped with candied pecans, and a hot chocolate pastry cream-filled Hot Chocolate doughnut topped with marshmallow fluff. 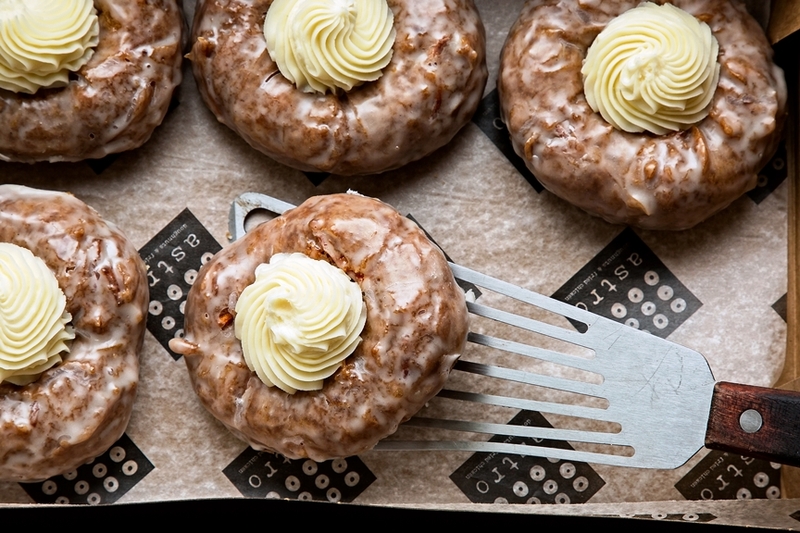 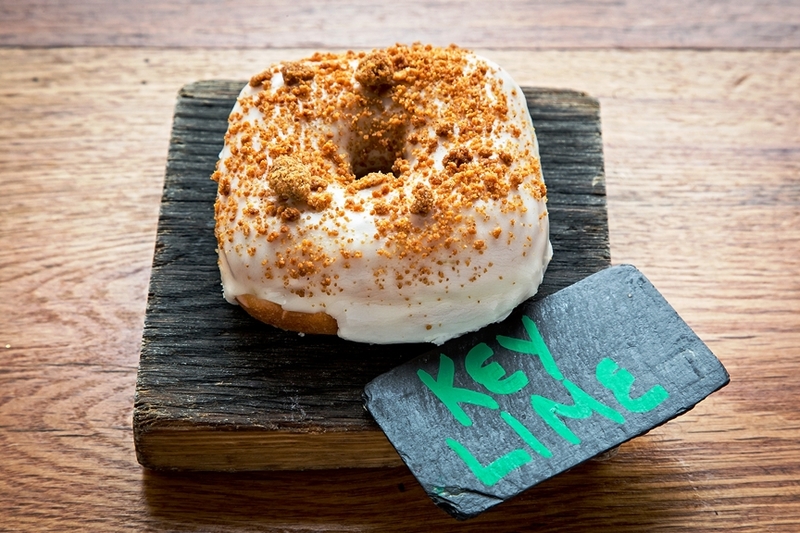 A spiced carrot cake doughnut with classic vanilla glaze and a piped vanilla cream cheese frosting rosette. A filled yeast doughnut with a tangy key lime pastry cream, topped with a key lime glaze and a sweet graham cracker crunch on top. 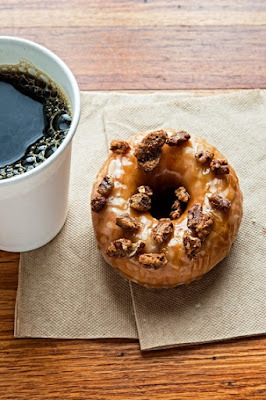 Yeast doughnut glazed with a bourbon butterscotch glaze, topped with butterscotch drizzle and bourbon candied pecans. 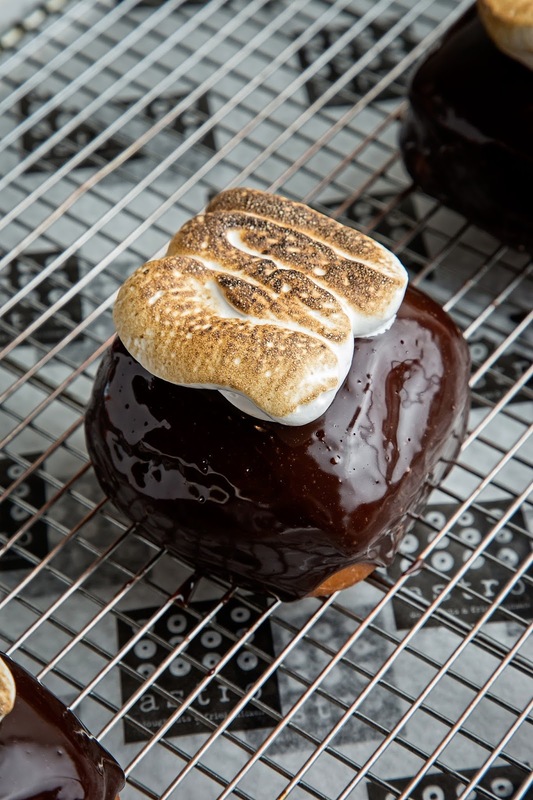 Filled yeast doughnut with a hot chocolate pastry cream (made with house made cocoa mix and milk chocolate), glazed with a hot chocolate glaze, and topped with house made marshmallow fluff.